Hot off a regional tournament, the Qualicum Beach Lawn Bowling Club (QBLBC) is hosting a big provincial singles tournament this weekend. 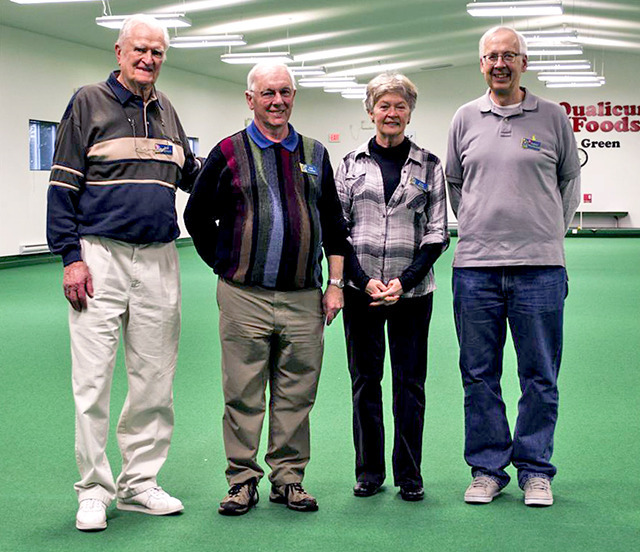 Indoor bowlers from Nanaimo, Parksville and Qualicum Beach played together in a mixed triples tournament at the QBLBC last weekend. “QBLBC games director, James MacDonald did a great job of putting together evenly matched teams resulting in an excellent competition enjoyed by both players and spectators,” said Meryl Yates, QBLBC advertising and marketing representative.